Blog Post Archives - Page 24 of 25 - Bryley Systems Inc.
Google’s familiar, plain-white background seems functional, but also trendy with the occasional changes to the GOOGLE moniker. Bing’s full-screen, image-based background usually displays beautiful vistas or current events; the scrollable “Popular Now” bar across the bottom adds an items-of-interest aspect. Bing (aka Microsoft) suggests comparing the two via www.BingItOn.com. Winner (by a wide margin) is Google; Bing is interesting, but it will take some major work to break Google’s dominance in this area. Microsoft continues to focus on Office 365; pricing now starts at $96 per year, new features have been added, and partners can sell this service directly to users. year for users of Google Apps for Business. So, Google Apps plays well in a heterogeneous, consumer/small-business world. Also, Google has moved its popular Postini anti-spam service into Google Apps, a move that has angered and confused many of its (former) Postini clients, but one that makes sense from the perspective of beefing up Google Apps for Business to battle against Office 365. Winner (by a strong, but potentially diminishing margin) is Microsoft; Microsoft dominates the desktop, but mobile users are changing the landscape. In terms of projected sales of mobile devices, Google’s Android (DROID) owns the market at 79% while Microsoft Windows is at just 3.3%. However, if you include desktop computers, a declining market, Windows is still prevalent across organizations throughout the world. Google introduced Android in 2007; it is a Linux-based, open-source operating system designed for touchscreen devices. 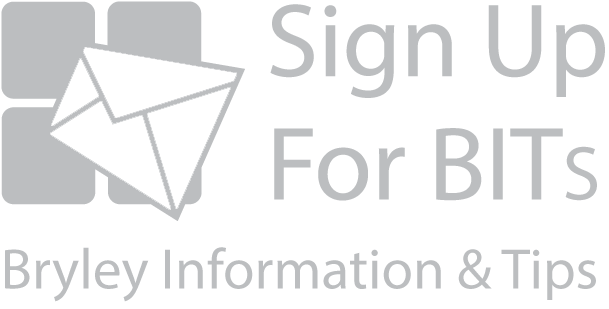 Its strength is its robustness and ease-of-use, which led to a brisk rate of adoption by users and application developers. Currently a draw if you include both mobile devices and desktop computers: Microsoft owns the desktop while Google owns mobile devices; Windows 8.1 provides hope, but might be too little too late to penetrate the mobility market. If nothing else, expect prices to decrease as the competition heats up. Emails saved with attachments consume storage. Large attachments slow performance and may be rejected by the provider. Attachments copied to a distribution list (a group of email users) are copied multiple times, once for each user, which can impact network bandwidth. Do not open if the sender is unknown or suspect. Limit total attachments to under one Gb; zip files greater than one Gb. Check to see if your home-based Internet modem/router is named above. If so, check with the manufacturer to ensure that all security updates have been applied. ComputerWorld.com — Popular Home Routers Contain Critical Security Vulnerabilities has the full story by Jeremy Kirk at ComputerWorld. Despite internal issues, HP remained the top manufacturer of PCs worldwide in Q4 of 2012 followed by Lenovo (the Chinese firm that purchased IBM’s PC business in 2005) and then Dell. Overall, PC shipments dropped 6.4% from Q4 of 2011. Go to HP tops Lenovo in lackluster PC market for the full briefing from Lance Whitney at CNet News. Visit HP barely maintains PC lead over Lenovo in Q4, says IDC for a related article from Sharon Gaudin at ComputerWorld. 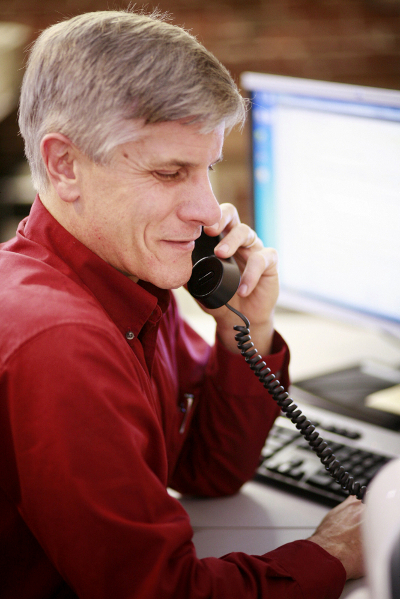 Visit PC Sales Persistently Declining: 10 Reasons Why for more from Don Reisinger of eWeek. • Excel updates ripple slowly down the page; they seemed to run a bit faster in previous versions. • The top-right Window icons have shifted somewhat; the Minimize icon ( _ ) is now in the middle rather than on the left while the Help icon is now on the left. $295 Raised for Hudson Charities by Bryley Systems Inc. and Yours for Children, Inc.
Bryley Systems and Yours for Children together raised $295 for the Hudson Food Bank and the Hudson Boys & Girls Club. The money was generated through a free giveaway of refurbished PCs in exchange for the suggested donation of $35 to either Hudson non-profit organization. With the generous contribution of 9 used PCs by Yours for Children, Bryley Systems was able to rebuild and provide the PCs for the donations. Not only did the swap prove successful, but it also promotes a greener solution to the removal of office equipment via renewal and recycling. Bryley Systems has performed this PC-for-donations fundraising twice in 2012 and approximately annually since October 2002 and this will not be the last time that such a fundraising strategy is demonstrated. Yours for Children, a nonprofit Massachusetts sponsor of the USDA Child and Adult Care Food Program is located at 303-313 Washington Street in Auburn, MA. 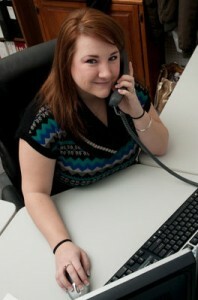 Bryley Systems, a Managed IT Service Provider, is located at 12 Main Street in downtown Hudson. 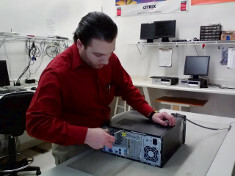 Garin Livingston, Bryley’s Senior Tech, rebuilds donated PCs. https://www.bryley.com/wp-content/uploads/logo-340.png 0 0 Gavin Livingstone https://www.bryley.com/wp-content/uploads/logo-340.png Gavin Livingstone2013-01-23 14:53:442013-01-23 14:53:44$295 Raised for Hudson Charities by Bryley Systems Inc. and Yours for Children, Inc. I am very pleased to announce that Michelle Denio has been promoted to the position of Administrative Support Technician. Michelle is a key member of Bryley’s Technical Service Department and with this new expanded role she will be able to use her expertise and knowledge of Bryley’s clients to everyone’s advantage. Congratulations!!!! 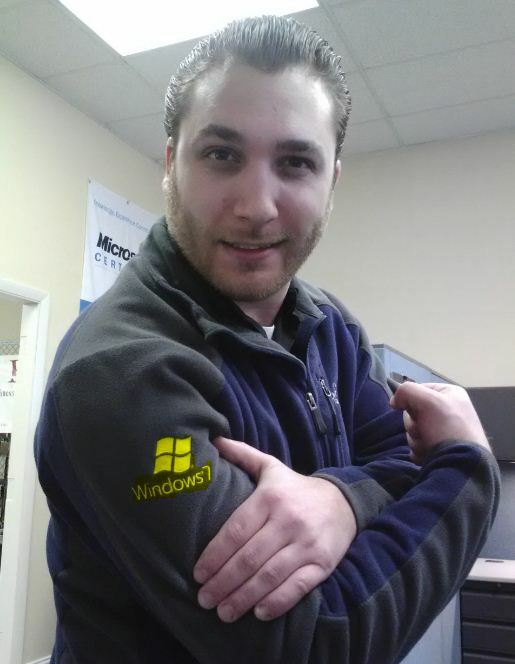 Garin Livingstone Passes his Windows 7 Exam! Congrats Garin Livingstone, Bryley Systems Senior Tech, for successfully completing and passing your Windows 7 configuring class and test!!! https://www.bryley.com/wp-content/uploads/logo-340.png 0 0 Gavin Livingstone https://www.bryley.com/wp-content/uploads/logo-340.png Gavin Livingstone2012-12-21 11:03:302018-07-05 11:12:22Garin Livingstone Passes his Windows 7 Exam!